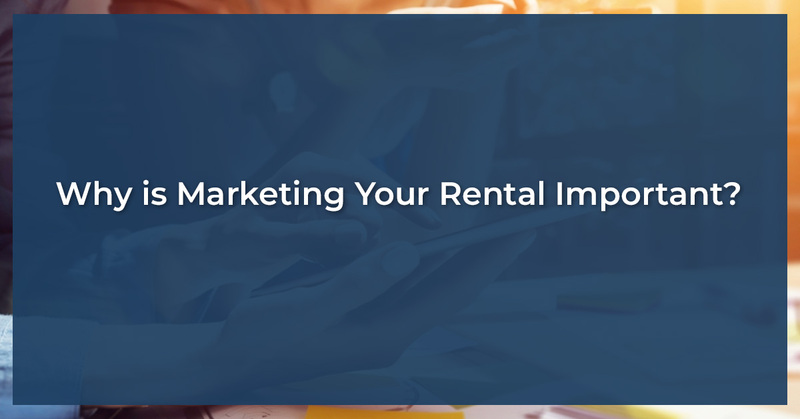 In our previous blog, we talked about some key marketing strategies to implement for your rental property. Creating a web presence, figuring out your target demographic, and getting help where you need it are all essential to marketing. But if you don’t know why marketing is important, you might be less inclined to make it happen. Our non-recourse loan lenders have compiled several reasons why marketing your rental property is crucial. Find out why you need to market your property, and when you’re looking to purchase a rental, apply for a non-recourse loan from First Western Federal Savings Bank! Bare Minimum: Putting a “For Rent” sign outside of your property. This tells people that the property is available, but only those who pass by. You’re missing out on people looking to move to the area, or people who don’t currently live or go through that neighborhood. Plus, it doesn’t really say anything about the property — the vast majority of people who see a “For Rent” sign are not going to inquire further. Average: Posting your rental listing on a website, such as Craigslist or Zillow. This targets an audience who’s specifically looking for properties in your area. Best: Posting your rental listing on a realtor website, while also managing a multimedia presence. With your own website, you could feature reviews from previous tenants (which is highly beneficial for prospective tenants to see). You could also have an Instagram to make photos much more accessible, as well as a Facebook page that people can interact with. Eventually, you could start ranking on search engines (like Google) for certain keywords if you have enough of a web presence built up. If you have a web presence and marketing strategy in place, you’re going to reach a wider audience. This makes it more possible for you to find renters — or more importantly, for potential renters to find you. When people can’t easily find or reference your rental listing, you’ll have a significantly harder time trying to find renters. It might seem like we’re stating the obvious, but you’d be surprised by the number of people who don’t properly market their rentals, then wonder why they can’t find renters. Plus, when you have a web presence and a marketable property, it’s easier for people to share. No one is cutting out newspaper listings anymore — it takes all of two seconds for someone to share an intriguing rental property for their friend or loved one who’s looking. When interest and access to your property is high, your rental business will directly benefit. As we mentioned, that “For Rent” sign isn’t showing potential renters what the property looks like, how much it costs, what it’s close to, what amenities are included, or anything of the sort. In some instances, it looks a bit more like an eyesore that leaves people with a lot of questions — and most people are not going to actively try to find the answers. With the right marketing strategy, you’re providing your prospective renters with the initial information they’re looking for, all in one concise and easy-to-read (and easy-to-access) place. As another important note, one of the first things people click on is the pictures. They need to be able to see themselves at your rental property, and if they can’t do that, it’s almost guaranteed that they won’t go for your bit. We should also add that having zero pictures will most certainly result in zero inquiries. This is a huge red flag for potential renters, and invalidates what otherwise might be a great property. Your marketing can be a great tool for providing adequate information. The more information you can give and the better it’s presented (such as excellent photos of your property), the better chance you have of attracting potential renters. In this day and age, people practically refuse to try something out if there’s a negative review involved. The public format of reviews over forums such as Yelp and Google are unique to the digital age, and they can nearly make or break a business. From a humanistic standpoint, it’s important that you do everything you can to be a stellar landlord — you want people to have a great experience at your property. But you also want to be able to serve as a rental owner that’s deserving of positive reviews. Being able to showcase what people have to say about their time at your rental property is a crucial and helpful marketing strategy. Our non-recourse loan lenders look at several factors when considering your application. One of the things we look into is how marketable your property is — we approve applicants who have a property in mind with 1.25 DSCR. Even if you have an extraordinary property, it’s not going to get nearly as far if you don’t have a plan to market it. By making a marketing strategy from the get-go, you’ll be prepared to have your property be as profitable as possible. Since 1979, First Western Federal Savings Bank has been a top lender for non-recourse loans, helping people advance their investment portfolio everywhere. Work with our trusted lenders for IRA non-recourse loans, refinancing, vacation rental properties, and more!